There are plenty ways to wear a sweater. Today we will talk about sweater styling tips. The ideas will hopefully inspire you and you can then change the entire look of sweater when you wear them. If you are looking for some sweater styling ideas with different outfits then this page is for you. Sweaters are very warm and comfortable than jackets.Last time we talked about some stylish holiday outfit combination. You can decide plenty of outfit combinations yourself.A sweater can be used for several purposes like keeping yourself warm over a bold outfit and layering a look. You can easily draw attention of people by wearing a nice top or a statement necklace along with it. Sweaters are wardrobe essentials when it comes to winters. They not just keep you warm but they also make you look pretty only if you are good at styling. Teenage girl love to have a funky look with sweaters.We talked about trendy winter outfits for young girls.Now let’s get started on how you could style your sweater. There are plenty of chic ways to style your outfits by wearing a perfect sweater over it. Today we will tell you how you can experiment with a very simple sweater which you most likely already have in your wardrobe and all you need to do is style it on yourself. Planning a date ? 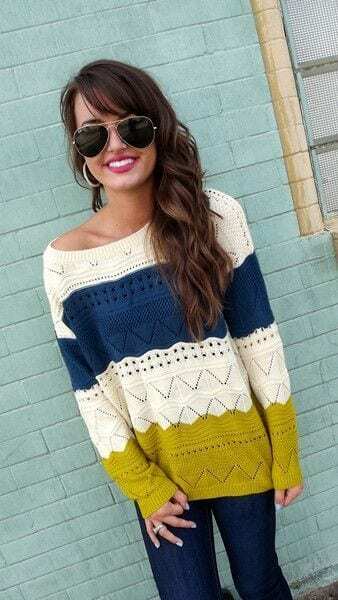 you can wear sweater for a date night for chic look.See awesome ideas what to wear for winter date night.Choose the most exciting colors and design. Go with plain outfits and bold blazers or sweaters. Pair it up with some funky combinations of scarfs or stoles that you can wear around your neck.Basic styling is how you wrap the sweater around yourself. Since there are plenty of designs and ways. Some are open sweaters without a button-line and some are simple front open. Anyway, now begin with some latest style ideas, how you can style your sweater from a boring look to a glamorous look. 1- Belt wrapping around your waist or hips:You can never go wrong when you wear your sweater buttoned or unbuttoned. That is your personal preference and wish. All you need to do is wear a simple sweater which has no button line. Wear a belt around your waist and you are good to go. 2- Wear it unbuttoned, front side should be open:You can reveal your outfit by wearing a front open or unbuttoned sweater over a funky or glamorous t-shirt. Pair it up with heels and skin-fitted jeans. 3- Placing a brooch of your choice:If you plan to achieve a perfect vintage look with sweater then you wear a brooch in the classiest way ever. Place it over your sweater, anywhere you would want it to be. Wear a stole around your neck and make sure you stay confident. Buy this from here. 4- Skirt with sweater:Skirts have always been trendy. They create a chic look. Wearing a peplum top with a skirt and a front open sweater on top. It would be a cherry on the top. I hope you got enough ideas on how you style your sweater this winter for cute look. Go for the most light weight one’s. Nice pair of shoes and accessories are must.From the following images collection you can choose the best style for yourself. How to wear Sweater At work/office. How to wear Sweater at College.